Gone are the days when inflatable kayaks were simply pool toys. With recent dramatic increases in technology, today’s inflatables have evolved into everything from family recreational fun to high-tech specialized watercraft – some even rival the performance of hard shell kayaks. AirKayaks note: we have recently updated this posting to include advances in the technology. You may also want to look at our other post entitled, Comparison Table Guide to Selecting An Inflatable Kayak at AirKayaks. The ability to travel with an inflatable – either tossed into the back of your car or RV, taking mass transit, backpacking into remote areas or flying around the world – is appealing to many. Inflatables also solve storage problems – the bags and backpacks can easily fit in a closet or trunk of a car, and there is no need for cumbersome and expensive roof racks. Kokopelli inflatable packraft weighs less than 10 lbs. Many of the inflatables are lightweight – making it easier to manage – and can hold one, two, sometimes three paddlers, making it great for family fun. 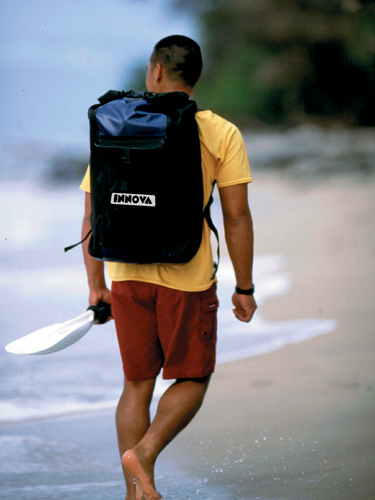 Most are rugged and incredibly stable, appealing to those nervous about the water and leary of “tippy” hardshells. 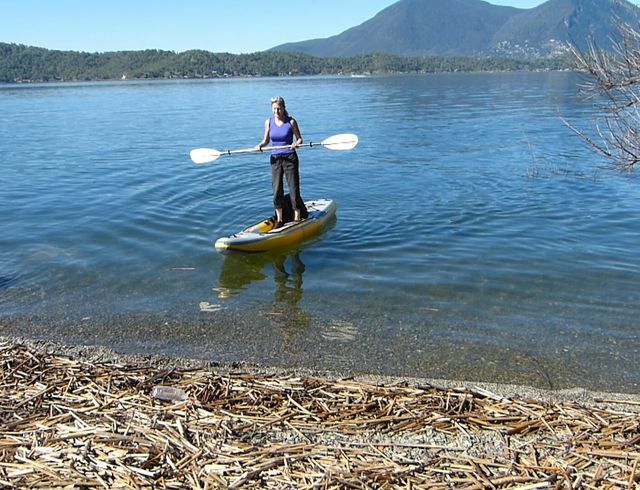 Many have hulls which can take scrapes, bumps and submerged sticks and logs without a blip. And in the remote chance that you do puncture your kayak, most can be easily repaired with the included maintenance kits. Simply cut a patch, put on glue, apply pressure and let sit overnight. With the number of new inflatables hitting the market, there are now many styles to choose from for a wide range of water activities – from oceans to ponds, slow moving rivers to white water or wave running. Self-bailing kayaks: These are typically used in whitewater situations. Self-bailing kayaks have numerous ports – or holes – located in the bottom of the kayak. When in a fast-moving whitewater situation, this allows water to enter the kayak and pass back out, ensuring the boat doesn’t fill up. Expect a wet ride. 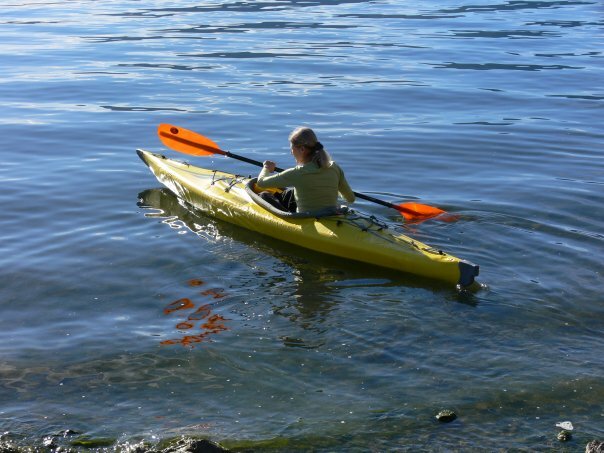 Conversely, if you are on calm water, water will come in through the floor ports unless the kayak has plugs that can be opened or closed. Many self-bailers don’t have tracking fins, meaning they may not perform as well in flat water. Canoe-style – this typically features an open design with higher walls and higher seats. Canoe-style paddlers often use canoe paddles (single-sided blades) rather than the double-sided kayak paddles. Open style kayak design. 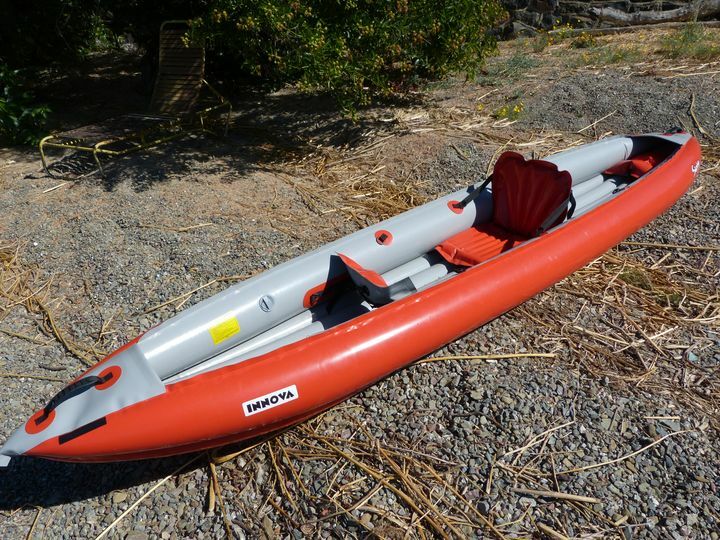 This is a kayak version of the canoe style, featuring higher side walls than a sit-on-top but lower seats than canoe-style. 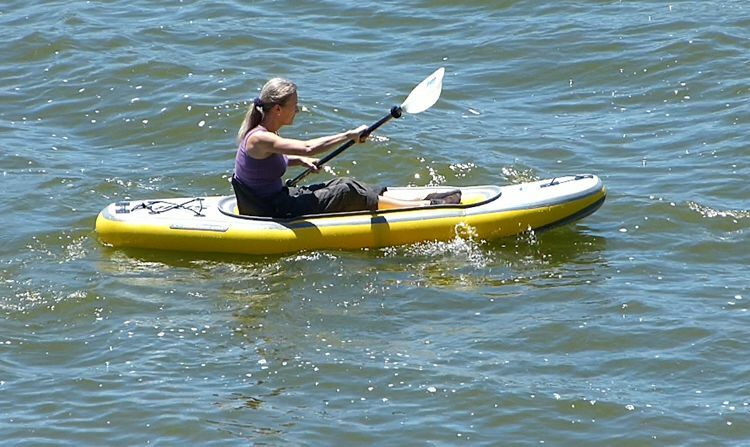 Paddlers use the traditional double-sided kayak paddle. This hybrid is good for people who want easy entry, a more open design. The higher walls prevent more water from entering the kayak, but still is less enclosed. Some have optional spray decks to keep more water out, making them more enclosed. Standup Paddle Board: This is the newest entry to the inflatables market and increasingly popular. Termed inflatable SUPS, or ISUPS, the boards can be pumped up to very high pressures of 10 to 25 PSI, making them quite rigid. 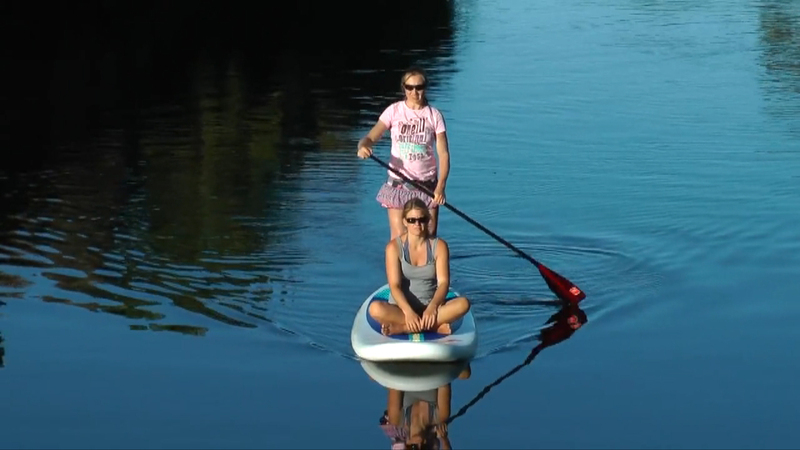 Paddlers stand up while paddling, and these can be used for surfing, recreational paddling, downriver whitewater, racing and fishing. Some of these include d-rings, allowing on to attach a seat and use it as a “sit-on-top” or paddle kneeling. 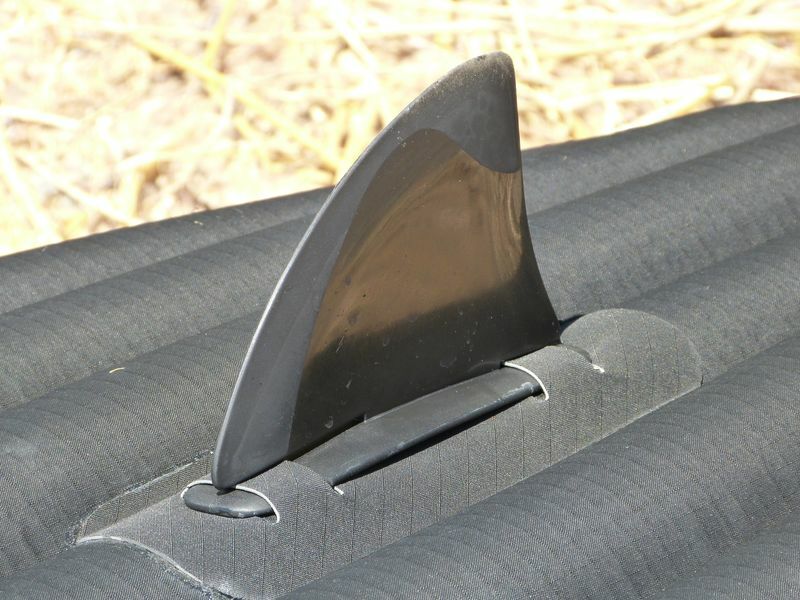 Tracking fin: A fin located on the underside of the kayak, helping the kayak to “track” better (paddle straighter) and prevent some side-drift. Fish-tailing: The shorter and lighterweight the kayak, the more it will have a tendency to “wag” – meaning, the nose will turn back and forth in the direction of the last paddle. This can be rectified by shallower, easier strokes, and sometimes by putting weight on the front hull. Left: Low pressure PVC floor with i-beams. Right: High pressure drop-stitch floor. 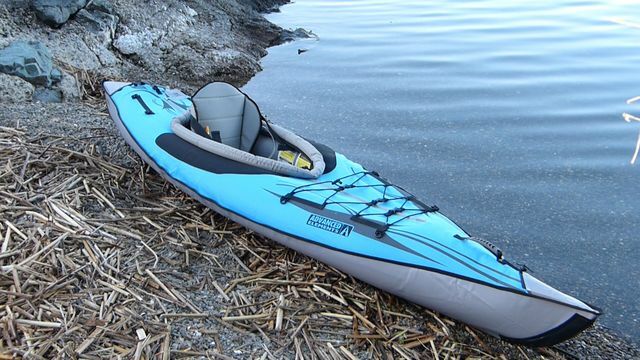 Low Pressure: Many of the standard inflatable kayaks can be inflated from 1 to 2 PSI (pounds per square inch). 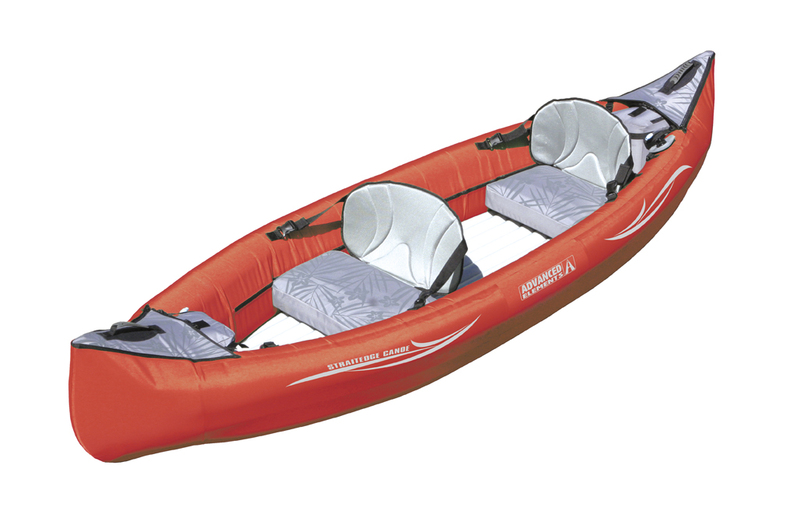 These kayaks typically have PVC floor bladders with i-beams – long welded seams running the length of the floor, keeping an even shape. This is less expensive technology, hence the kayaks will be lower priced. 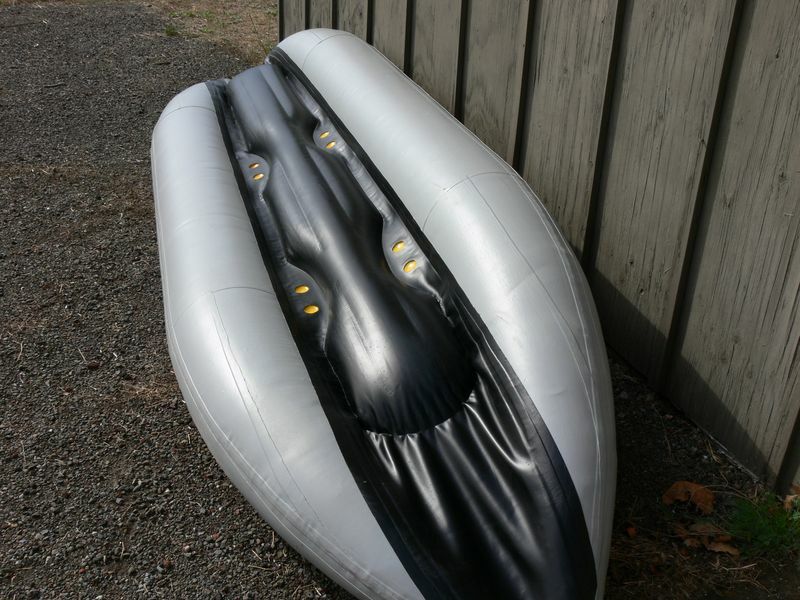 High Pressure: Some of the more expensive inflatable kayaks can be inflated from 3 to 6 PSI, particularly inflatable floors using drop-stitch technology. With drop stitch construction, thousands of tiny threads connect both the top and bottom layers, creating a stronger link that can withstand much higher pressures, creating a more-rigid paddling platform which can enhance paddling performance. This is a more expensive technology, so is found in the more expensive inflatables. Some people work well paddling with another, some don’t. If you’re the type of person who wants to amble along at their own speed, then a single kayak might be right for you. 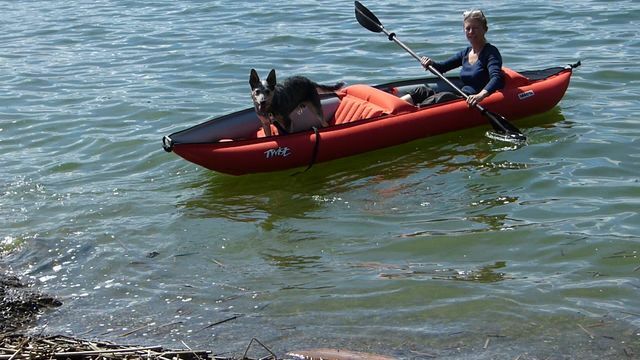 If you want both options, look for a kayak with various seating positions – typically with front and rear seat clips, as well as a center option. This allows you to move one seat to the center to paddle solo, while removing the extra seat. Kayaks with fixed seating areas can also work if you sit in the rear seating well, and put weight in the front. If you’ll be out in lots of sun, you also might want something more enclosed, or on the opposite end, something that allows you to easily slide into the water to cool off. 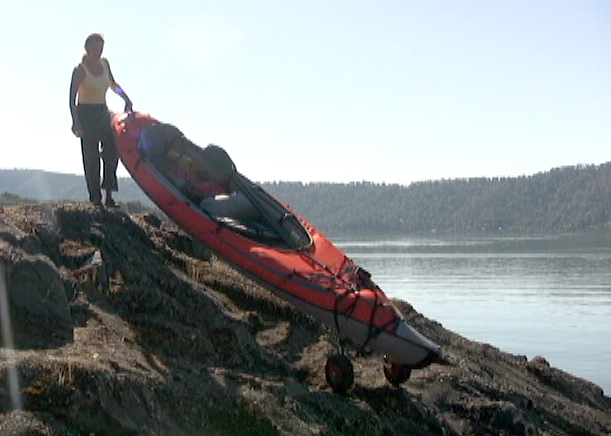 A very long kayak might be a bit difficult to carry solo in high winds, but also note there are travel options – such as a breakdown dolly – that can make this task quite manageable. This is a personal preference and also depends upon the type of paddling – and paddling conditions -you will encounter. 10) Do you want a “pump-up-and-go” type kayak, or are you more detail-oriented and willing to spend more time setting a kayak up? 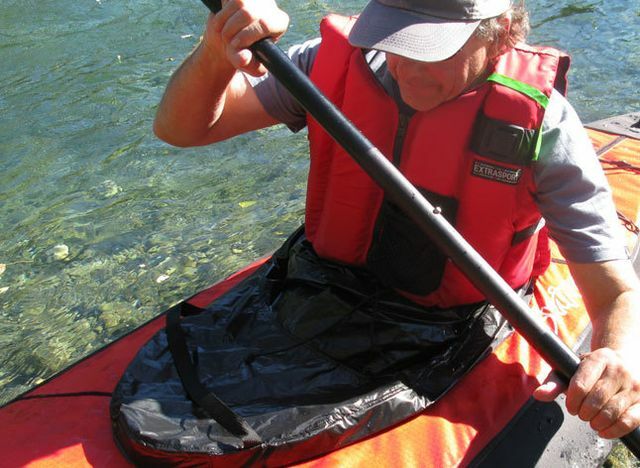 Most inflatables can be easily set up in 5 to 10 minutes – simply pump up the air chambers and you’re ready to paddle. This time an also be decreased with the use of a 12-volt pump to get the kayak partially inflated. Other – more performance-oriented – kayaks may take longer and have more parts/chambers. Are you more interested in getting onto the water, or are you willing to spend more time to get things right? At this point we wish to make one point about inflatables – if you will be out in cold water or air, pump the kayak up slightly more as the cold will cause the air to contract. Do the opposite if out in hot weather. And NEVER leave your kayak fully inflated in the hot sun – release some of the pressure. Once you consider the points above, you’ll have a much better idea of which type of kayak to look at. Still have questions? Feel free to check out inflatable kayaks on our website at www.AirKayaks.com, email us at info@AirKayaks.com or call us at 707-998-0135. Which kayak is showed in the picture on chapter 7? Are you referring to the photo by question #7 where the self-bailing kayak is upside down? If so, that is the Maxxon MK1205. Thanks for the question! Yes. I found the “catamaran” hull shape pretty interesting. Did you tested its performance and build quality? We do not have whitewater here. I took it out on calm water, it handles well. It’s BIG! It is also incredibly rugged. This could be good for that, the sides are quite firm.